LATAM Airlines, which was formed from the LAN and TAM airline merger, is a Chile-based carrier that serves South America, Central America, North America, the Caribbean, Europe and Oceania. If you’re in North America, it can still pay to be a member of its frequent flyer program LATAM Pass, even if you don’t frequently fly to the south. LATAM is a member of the oneworld alliance, the smallest of the three main airline alliances. Since American Airlines updated its award chart and announced several other program changes after it mergered with US Airways and British Airways levies high fuel surcharges on transoceanic flights, LATAM Pass’s distance-based oneworld awards can be one of the most economical ways to travel within the alliance. If you are planning to travel within South America, LATAM Pass kilometers can be particularly valuable for regional travel, where flights from hubs to hard-to-reach locations, such as Tierra del Fuego, the Galapagos and Patagonia, can easily reach $1,000 roundtrip and LATAM charges as little as 24,000 kilometers for many of these routes. 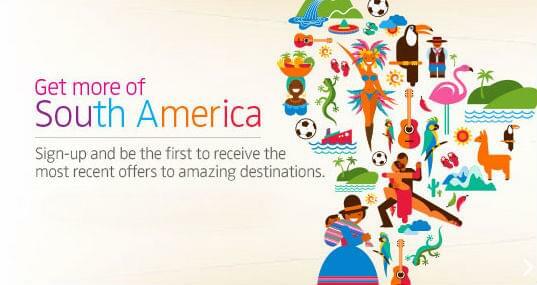 How Can You Use LATAM Pass Kilometers? 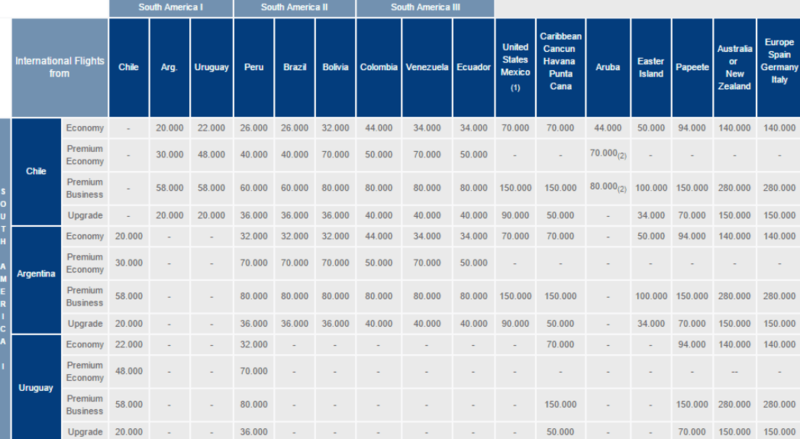 When you use LATAM Pass kilometers on flights operated by LATAM and its subsidiaries, the number of kilometer required are governed by one of two award charts, an international chart that breaks down the number of kilometers for travel within South America by country and a domestic award chart that breaks down the kilometers required for each city pair in Chile, Argentina, Peru, Ecuador and Columbia. These flights do not come particularly cheap in terms of the number of kilometer flown compared with domestic American itineraries on the big three U.S. airlines. Domestic flights can run up to 28,000 kilometers roundtrip, international flights within South America can be up to 44,000 kilometers, and flights to the U.S. can be up to 70,000 kilometers. When you want to travel with oneworld partners, LATAM Pass uses a distance-based redemption chart that can be very advantageous if you maximize the different buckets, particularly the 2,001- to 5,000-kilometer category that requires 27,000 kilometers each way and the 5,001- to 10,000-kilometer category that requires 35,000 kilometers each way. Though on the surface the number of kilometers required for domestic or regional flights on LAN can look like more kilometer than you should pay for that distance, many of these flights cost a significant amount of dollars for such as short hop. If you want to reach South America’s most striking landscapes, LATAM Pass kilometers are the way to go, particularly in Argentina. Flights from Buenos Aires to Iguazu Falls average $800 round-trip, but can be purchased for as low as 20,000 kilometers roundtrip. Reaching the Perito Moreno Glacier accessed from El Calafete, the Patagonia lake region around Bariloche, and Ushauaia in the Tierra del Fuego from the capital all require just 28,000 kilometers roundtrip. You’ll get the worst value from LATAM Pass kilometers when you combine flights on LATAM with flights on partner carriers. In these cases, LATAM prices each leg of the flight separately, using two different systems.If you are traveling to South America from somewhere in the U.S. that LATAM doesn’t serve, you’ll pay 70,000 kilometers for the LATAM leg, then an additional distance-based price on the segments with the partner airlines. For a grand total of 82,000 kilometers for a destination that isn’t even that far from LATAM’s North American departure point. You can upgrade LATAM tickets in any fare class using kilometers. The cost varies widely on LATAM-operated flights, and it’s typically the same as the number of kilometers required for an economy booking. Upgrades on partner flights must be request in person at a LATAM office more than 72 hours before departure. Elite status upgrade coupons can be used to upgrade award flights, an option not available with most carriers. LATAM offers three credit cards in the U.S. connected to the LATAM Pass program: the LANPASS Secured Visa Card, LANPASS Visa Card, and LANPASS Visa Signature Card. The Secured Visa card is intended for recent immigrants looking to build credit in the U.S. and carries a low annual fee of $25, waived the first year, and a low sign-on bonus (5,000 kilometers), but otherwise offers all the same benefits of the standard Visa card, making it the most attractive co-branded Secured Visa out there. The sign-up bonus rises to 15,000 kilometers and 2,000 kilometers are awarded as an annual renewal bonus with the standard visa card. 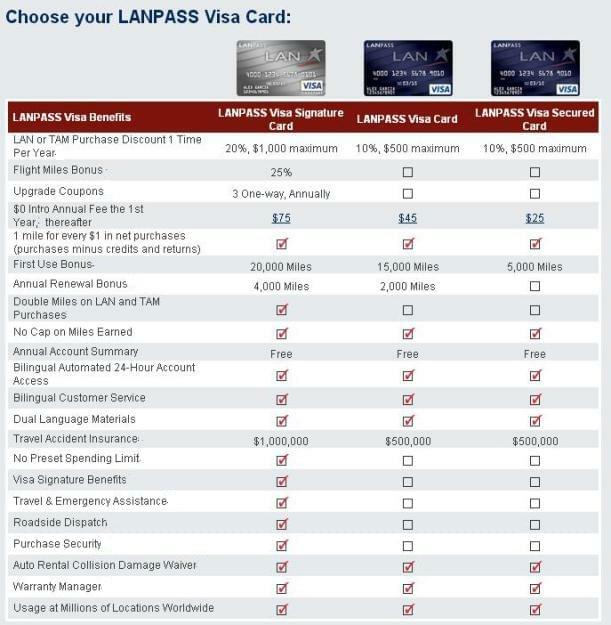 The Visa Signature card carriers many additional benefits, including higher travel accident insurance ($1,000,000), Three one-way upgrade coupons per year, a coupon for 20% off a LATAM purchase for up to $1,000, a 20,000-kilometer sign-up bonus, a 4,000-kilometer annual renewal bonus and double miles and LATAM purchases.